The Horseman is unending,his presence shan’t lessen.If you break the curse,you become the legend.Washington Irving and Rip Van Winkle had no choice but to cover up the deadly truth behind Ichabod Crane’s disappearance. 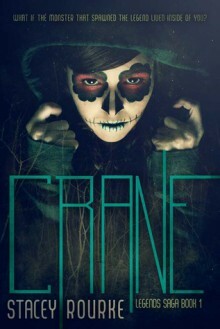 Centuries later, a Crane returns to Sleepy Hollow awakening macabre secrets once believed to be buried deep. What if the monster that spawned the legend lived within you?Now, Ireland Crane, reeling from a break-up and seeking a fresh start, must rely on the newly awakened Rip Van Winkle to discover the key to channeling the darkness swirling within her. Bodies are piling high and Ireland is the only one that can save Sleepy Hollow by embracing her own damning curse. But is anyone truly safe when the Horseman rides?